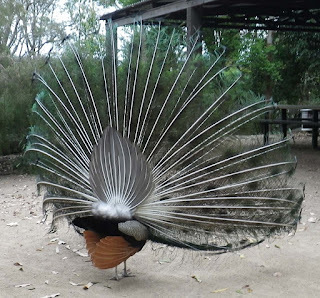 These photos are taken at the zoo, but peacocks can be domesticated, like chooks. I lived on a farm a while back and the lady had a peacock, Cheeky, and for the first week every time he called, I thought someone was being killed. For a stunningly beautiful male bird, they have a shocking voice! The colours of peacocks really intrigue me. They are so spectacularly beautiful, the colours are almost iridescent - in the male anyway. 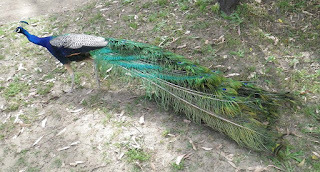 The females are poor drab things... but they get to choose their mate from his awesome display of tail feathers - and I don't know that lugging around all those feathers and then standing them up and making them shimmer, would be much fun! A male's tail is more than 60% of the bird's total body length, according to the National Geographic (here). It doesn't say what the weight of that massive tail is relative to the bird's weight, but that would be something I'd be interested to see! Although, Cheeky was never hampered by his tail. 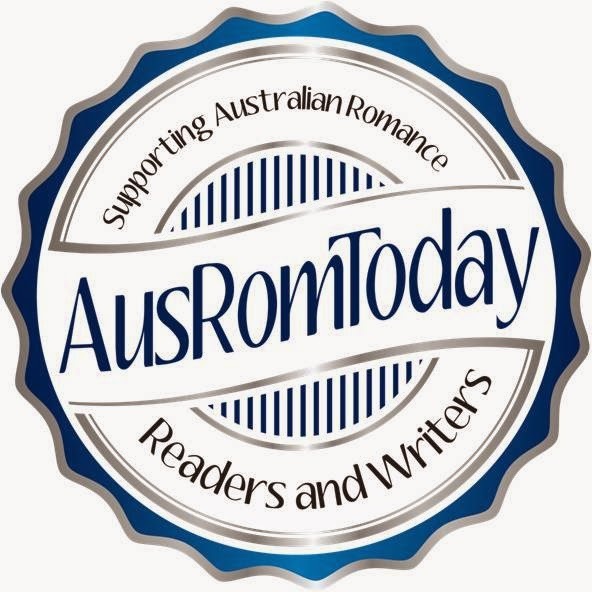 He roosted in the same branch up in the tree near the shearing shed whether he was lugging that tail or not. Everyone takes photos of the front of the tail with it's magnificent display of colour and patterns, but I think the rear of the tail is quite and impressive sight too (and this bird just wasn't going to let me get a front on shot, he kept turning as I walked around him). Those brown feathers at the base are quite striking, as is the black with white fluff above it, and then the white 'backbones' of those feathers really gives you a good idea of how many feathers make up that tail. And the hints of colour are there in the wisps, it's just not as magnificently coloured as being in front. Are you a fan of peacocks? Are you superstitious?